Southwest Starts International Routes !!! After Southwest acquired Airtran there were rumors that Southwest would finally begin international oversea routes. While Southwest expanded to flights to San Juan (a US territory) they still use Airtran to operate most of the international routes to Mexico and the caribbean countries. Looks like that is about to change. As of January 27, 2014 12:01am (PST) can you now book flights on Southwest to international destinations. 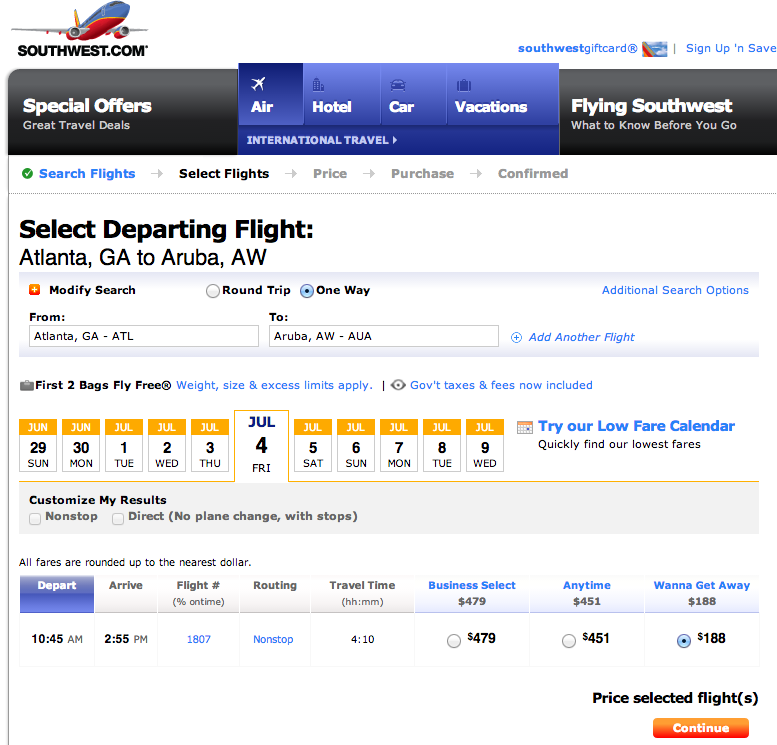 For example this route from Atlanta (ATL) to Aruba (AUA) on July 3rd now works. Southwest’s site is buggy right now (no logins, cannot book with points etc) but its good news. Still unknown is if current companion passes will work. Stay tuned for more!